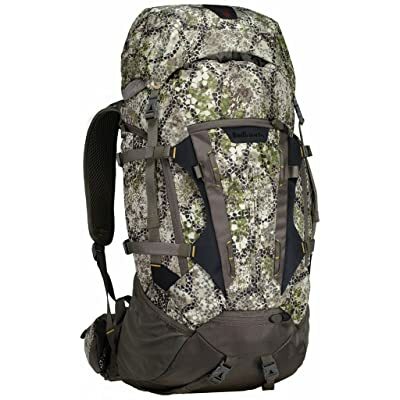 8 Best Hunting Backpack Reviews 2019 - Which Could Carry Everything? Hunting is in full swing and pretty soon we’ll be hearing stories from our friends about the game they got over the weekend. Getting in on the action is always exciting, but in order to do so it is best to be prepared for some slow days and long walks. Carrying meat back home can be difficult as well and having the proper bag to get the job done is helpful. In addition, think about the times you’ve spent waiting for hours in a stand or a blind without a single target to speak of. Its times like this that you’re grateful you brought some snacks with you, or maybe you’re grateful for the extra gear you brought along in case it gets cold. Whatever it is that you bring into the woods in order to keep yourself comfortable and high spirited in addition to what you bring out of it, you’re going to need to be able to carry it all in something; and believe it or not, there are backpacks designed specifically for these kinds of situations. The best hunting backpack can handle all of these tasks. We’ve compiled a list to make your search for the right bag easier. Below are the top 8 hunting backpacks from this year. 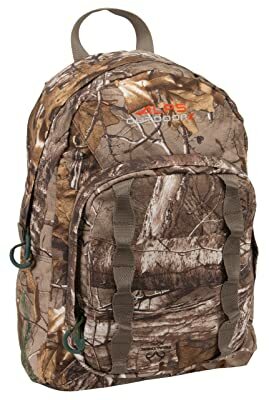 The Alps Outdoorz Pursuit Bow Hunting Backpack is a moderate sized bag of 2700 Cubic Inches, with a bow pocket and a large front. It has a handful up other pockets and features including a pocket for your water bottle, a center aluminum frame stay that provides stability, and a rain cover. 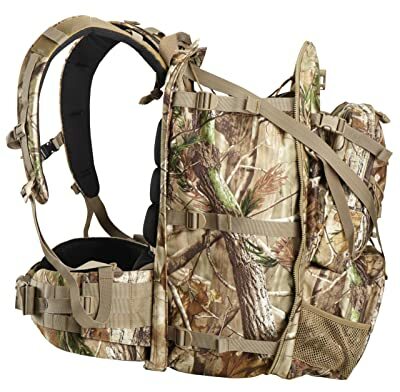 A nice amount of room, security and stability, and quality features make this a good bag for your next hunting trip. 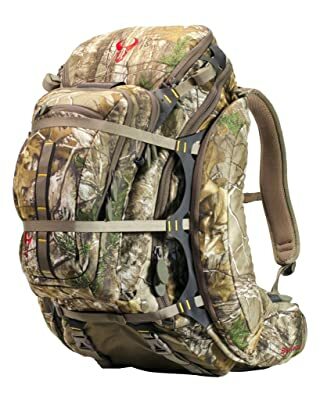 The Badlands Pursuit Lightweight Hunting Backpack is only 1800 cubic inches but it comes with two pockets, two water bottle pockets and multiple additional compartments. It is ideal for lightweight needs and stowing small gear and game. A nice bonus is that this bag comes with a lifetime warranty. If you take longer treks for hunting excursions and don’t rely on a ton of gear then a lighter bag like this one is a good choice. This is an inexpensive option for small game situations. The bag is 1450 cubic inches and is ideal for users just looking for something to hold their smaller extras and accessories. If that sounds like you then go for this bag, it’s worth spending less money. However, this bag simply won’t do for anyone who needs space. It’s simply not big enough for those who rely on a lot of gear or space to haul game. 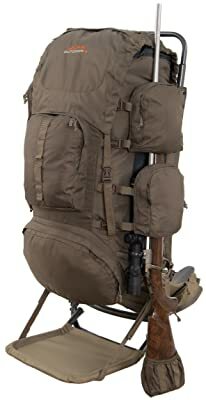 The Buck Commander Black Gorge Pack is demonstrates versatility at its finest. It looks like a small bag but it expands to 3515 cubic inches. This makes for a multipurpose bag because it can be condensed to allow for mobility and can function as a lightweight bag, while also offering the option to expand and carry a sizeable amount of gear. It also includes a pull out blaze orange panel for safety in the field, making it one of our favorites on this list for its multiple unique features. The Alps Outdoorz Commander Freighter backpack is extra-large for bulky loads, but on top of that this backpack seems to just have it all. How about a quiver holder, a rifle holster, and a ton of space? This backpack offers tons of features and plenty of room. The price isn’t even all that high considering what you get from this bag. If you’re hunter who appreciates these things and doesn’t mind a little extra weight then this bag is right for you. If you’re serious about getting a heavy duty hunting bag that has a lot to offer then look no further. The Bounty 4500 is named for its 4500 cubic inches. 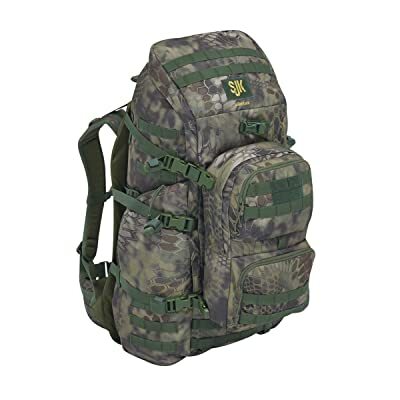 With military-grade dual suspension and a detachable field pack, the Bounty 4500 is sturdy, durable and can be stripped down for lighter use. There is also an included bow/rifle carrying system. The only issue with this bag may be the price tag it comes with. 3450 cubic inches of backpack stuffed full with gear doesn’t have to be a pain in your back to carry around. The Badlands Sacrifice backpack is built with a “hybrid hypervent” suspension in order to keep the weight off your back. It has 7 pockets, 2 compartments, and a top pocket that adjusts to make space for oversized loads. It is even compatible with bow, rifle, and pistol. This bag comes at slightly steep but it may be worth the added comfort, countless features, and plentiful space. With front suspension opening bucket lid opening, this pack is easily accessible. It features a state of the art aluminum suspension and even a pocket to put your spotting scope. The coolest features however include the built in rain fly and a meat shelf to keep your interior dry and provide a separate place to store your meat. Its accessibility, fair size, and many utilities make it a well-balanced option. The shortcoming with this bag is how expensive it is as it blows most of the other bags on this list out of the water as far as price goes. When buying a hunting backpack you’ll need to consider what sort of usage your bag will be getting. Do you plan to use the bag to carry meat? If so then what size game are you planning to carry with the bag? Are you looking for a backpack that can stow your bow or gun? Maybe you’re just looking for a small bag to carry a bit of gear. In order to determine just what sort of bag you’re looking for you’ll have to keep these things in mind. You can narrow down your buying options quite a bit by judging what bags will match your needs by checking over a few factors. 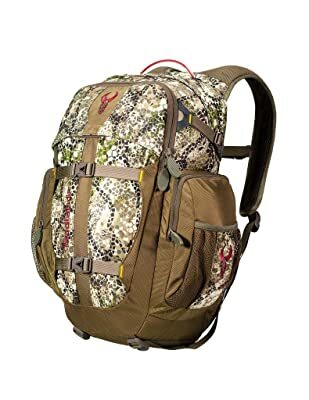 The following, in particular, are the key factors that you want to look into when shopping for a new hunting backpack. Size – You’ll need enough space to carry your gear, meat, or any other additional items you prefer in order to leave your hands free. Get a bag that’s sizeable enough to carry everything without being too large. A bag of around 2000 cubic inch bag will work fine if you don’t bring a lot of gear but a bigger bag is often wise if you’ll be in the woods for quite a while. Mobility – You’ll want a mobile bag that isn’t too bulky or heavy to carry along with your other gear. Most bags nowadays are made with weight in consideration, but you’ll just have to keep in mind that while the largest of bags will allow you to carry out larger quantities of meat, they are not always the most practical. Additional Features – Extra pockets, pull-out safety panels, waist belts, and other additional features will add more functionality, safety, and comfort to your backpack. Gun holsters and bow pockets are wise. They can free up your hands if you find yourself having to (or getting to) drag a deer out of the woods. 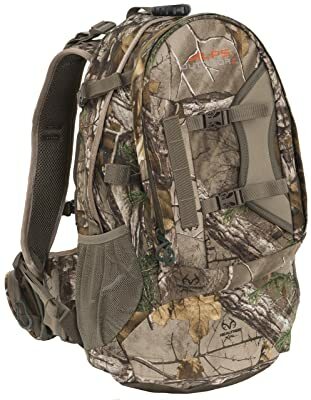 The point in buying a backpack specifically for hunting is to have to proper additional features after all, so it makes sense to keep an eye on the extras. Again, the features you look out for should revolve around what kind of purposes you’re buying your backpack for in the first place. Price – This is a given. Read reviews and ask friends, and make sure you get your money’s worth. A good backpack is worth laying down some money but you have more important things to spend your money than some designer backpack. 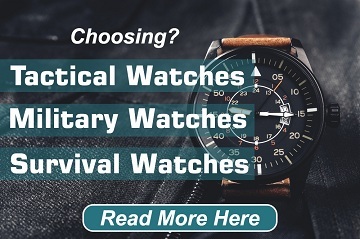 There may be a bit of give and take when all of these factors come into play, but overall you should be able to find a bag that suits you pretty well. Once you are hooked up with a new bag the rest is up to you. You’ll have the freedom of having everything you need right on your back and the ability to pack up meat with ease in your new backpack. Enjoy the hunt and remember to practice safe hunting technique. Good luck and happy hunting. Best Spotting Scope Reviews 2019 – Which is for Hunting, Birding?